Lots of you will be driving in Europe for your summer holidays soon so it seemed like a great opportunity to share with you tips and need to know advice to make the most of your road trip. Continental Europe is probably the best place for a self drive holiday as it has so many countries you can explore and every new destination has something different to offer, even within the same country. 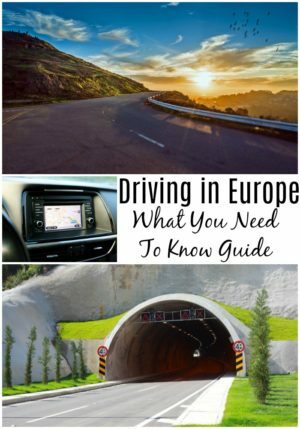 If you’ve been wondering what you need to do to drive in France, then this driving in Europe checklist will help you be prepared. 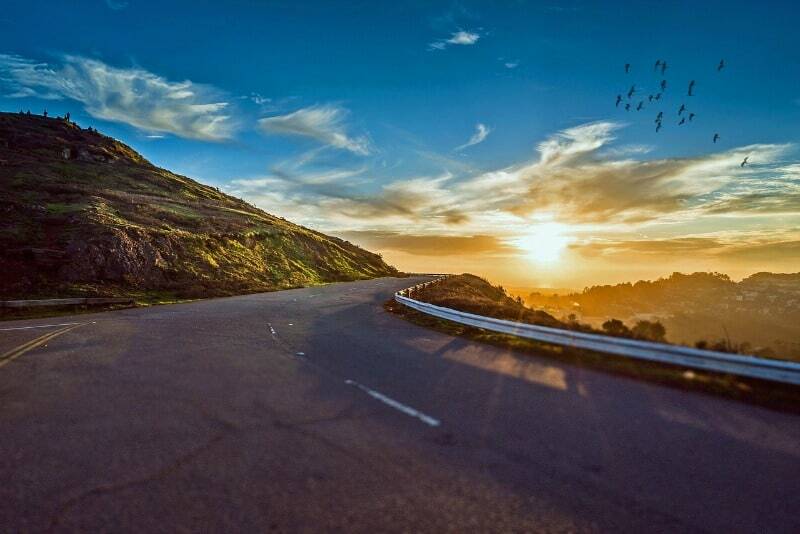 Before you take to the road, the first thing to think about is whether to use your own car for the trip. If you are planning to do a lot of driving in Europe you’ve probably already purchased a car with that in mind. My ideal car for a Europe road trip would be the Land Rover Discovery Sport because of it’s size and how comfortable it is to drive. Unfortunately we don’t own a Land Rover but I definitely would considering hiring one when I was going on a holiday in Europe with a lot of driving involved. Our current family car wouldn’t be suitable for a long road trip as we would be worried about it breaking down, so it would be an opportunity to treat ourselves and have something a little bit more luxurious. When you are spending a lot of time driving on new roads in different countries investing in a car, hired or owned, that is comfortable and easy to drive is going to help to make the trip more relaxing. If you hire a car in the UK, make sure that you are able to take it to Europe and keep your Vehicle on Hire Certificate (VE103) with you at all times incase you need to produce your driving documents. If you are going to be using your company car or similar, a letter of authorisation to use the car in Europe is also recommended. Once you’ve decided whether you are going to use your own car or use Europe car rental for your road trip make sure that your car insurance covers you for driving the vehicle abroad. 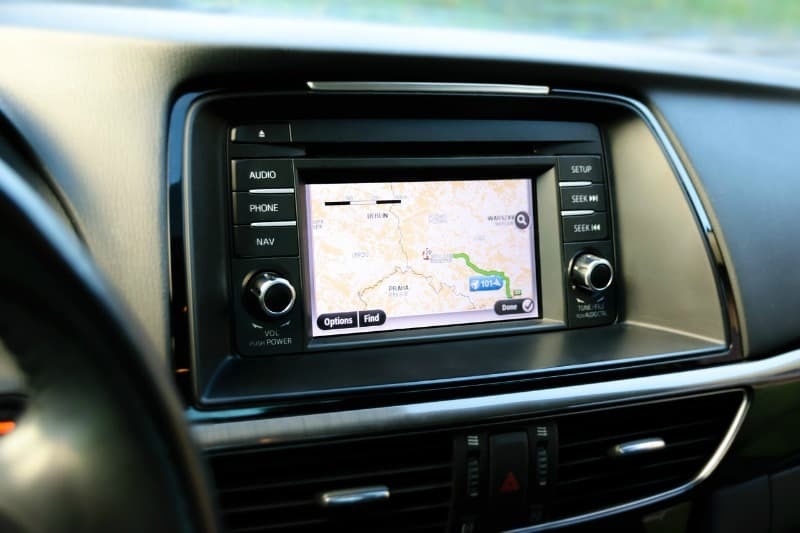 Some insurance companies require you to notify them if you are driving in Europe, and they might only provide third party cover so it’s important to check the details. 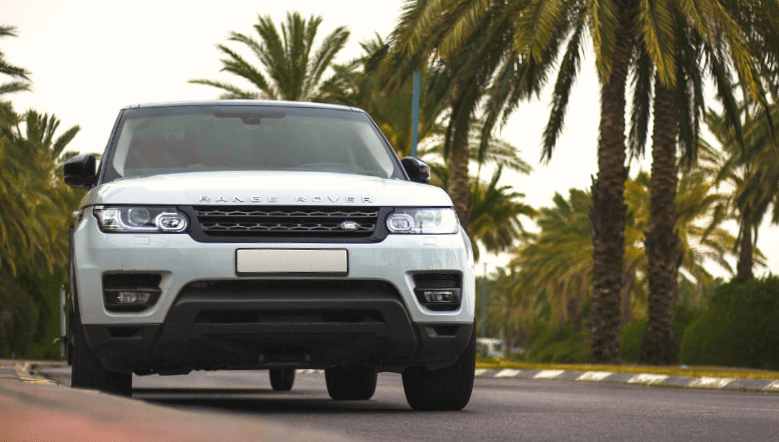 It’s also important to have adequate European Breakdown Cover so if an incident does occur while you are driving in Europe you will be able to get your car recovered to a garage and repaired so that you can continue with the rest of your trip. Your DVLA driver record and a licence check code. If you are using your own car, or a vehicle from the UK, you will also need to display a GB sticker. There is also a growing list of low emissions zones across Europe, and if you are driving in France for example, Paris, Lyon, Lille and Grenoble have all recently been added to the list of cities effected. If you think you are going to be driving trough a low emission zone you need to apply for ‘Vignette’ sticker to display on your windscreen. You can purchase a European driving kit here. This is the only kit you need for driving in France or any other European destination you are going to be visiting. The biggest difference between driving in Europe and driving in the UK is that on the continent they drive on the right. It can take a little while to get used to but it’s not to difficult with these simple tips. If you are driving a car you hired in Europe it will probably be a left hand drive vehicle so if you remember that you need to be positioned in towards the centre of the road when driving this will keep you in the right place. You could also put a little sticky note on the dashboard to remind you about driving on the right. You will also go the other way around the roundabouts and there might be other rules you need to be aware of about turning at junctions etc. Speed limits in Europe are displayed in kilometres so make sure that you follow any speed restrictions in place and that it is easy to determine your speed in kilometres on your dashboard. A lot of countries in Europe have made it illegal to use speed camera detection systems either on Sat Navs’s or on your phone. If you currently have any of these set up you will need to disable them before you drive to Europe. In many parts of Europe you will come across long tunnels during your road trip. 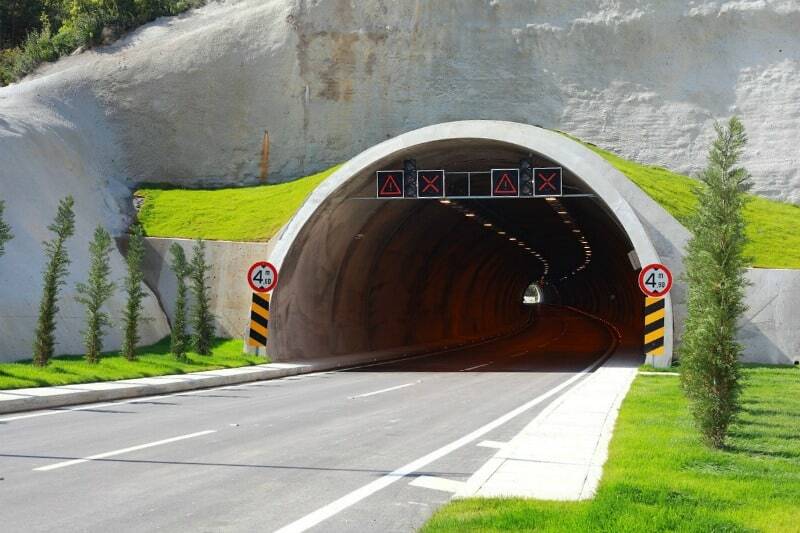 To ensure that you drive safely through these long tunnels make sure you adhere to any road signs you see. Remove your sunglasses before you enter the tunnel, use your head lights, drive your car at the correct speed limit and leave a 5 metre gap between yours and the next vehicle to reduce the risk of an accident. I think we are all aware of how dangerous it is to drink and drive but it is still worth mentioning here. Drink drive limits are generally lower in Europe and some countries have a completely zero tolerance policy, so check out the driving laws are before you visit as even a small beer with lunch might be considered unacceptable if you are planning to drive later. If you are driving in Europe with kids, these tips for surviving long car journeys are going to be perfect for you too! Have you been driving in Europe recently? Would you add any tips for the readers of this post to consider? Thanks, Zena! This checklist is a must. You’ve mentioned all the points necessary for safe driving.